Years ago, new ad accounts on Facebook were subject to fairly stringent ad spending limits. Initially, you would be capped at $250 per day until you spent that much over the course of a few days, at which point they would bump it up to $500. Spending that much again would bump it up to $1,000. If you reached that point and needed more, you would need to manually contact Facebook to have it increased. While some people still mention this, I haven’t been able to find any hint of the policy still existing in Facebook’s help center. That said, there are still a few different limits you may encounter when running ads. I’ll cover these from narrowest to broadest. 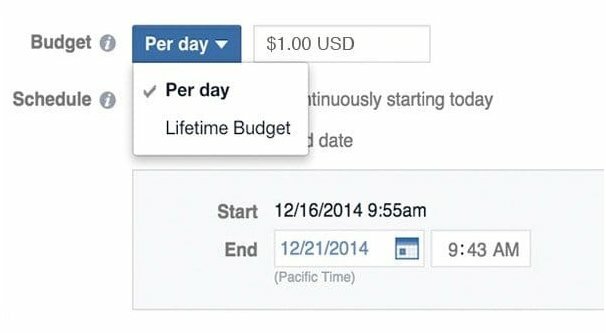 The first spending limit you may find is the daily budget for your ads. Budgets are not imposed on you by Facebook, but are values you can set at the ad set level or the ad campaign level. Daily budgets are the maximum amount you’re allowing Facebook to spend per day* on your ads within that set or campaign. Note that if you put a budget cap on an ad set, but a smaller cap on the overarching campaign, the smaller will take precedence. The * above is important. Facebook’s daily ad budgets are an average, not a hard and fast cap. 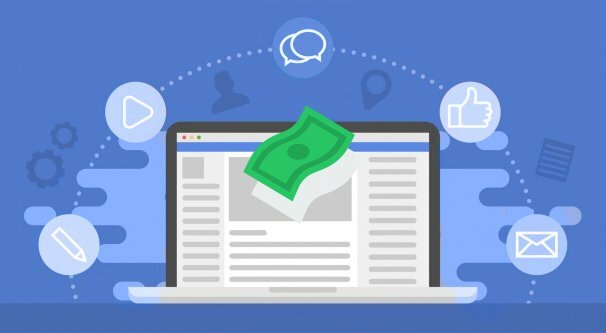 Facebook will optimize your ad spend on an average basis, and they can spend up to 25% more than your daily budget to capitalize on trends that lead to active conversions. Essentially, they will spend more during peak hours and less during off peak hours, such that it averages out to be at or below your budget cap for the day. You can see a chart of this and a better breakdown in the help center here. To raise your daily ad budget, all you need to do is find the ad set or campaign that is capping your spending and adjust your budget number. Keep in mind that you may still be capped if you have set a lifetime budget cap for the ad set or ad campaign, and you may need to adjust that as well. When you’re outside of the USA and you’re using a manual payment method instead of an automatic method, you have a cap on the amount of money you can spend per day. That cap is the amount of money you have pre-paid on your account. Even if you historically pay enough to cover more ads, Facebook will not allow you to buy ads on “credit” without actually adding a credit card or bank information into their system, which switches you to automatic payments. 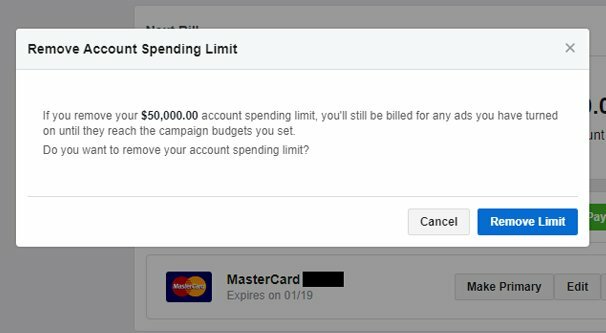 Facebook also allows you to set account spending limits for your ads account. These spending limits are lifetime limits and count every ad across all ad campaigns, starting from the time you set the limit. It does not count historical spend. Lifetime limits are useful for cases where you may have a fixed budget that, if you exceed it, would be catastrophic to your marketing team. This isn’t a very common occurrence, but it does happen. It’s also a good safety valve to prevent uncontrolled spending. For example, I have occasionally seen a business set up ads to run only to forget to add a budget cap to those ads. They either used a high placeholder, or they assumed they had one set in the campaign level and didn’t set one at the set level. The ad effectively becomes unconstrained and can run – and spend – until the credit card company rejects it. Since billing is handled on a tricky rolling basis and refunds are rare at best, the unexpected charges can be hugely damaging. Setting an account spending limit helps avoid this situation. The tricky part is that you need to keep increasing or removing and re-adding your account spending limit. Otherwise you may find that you’ve been trying to run ads that should be running, only to find they aren’t. When you’ve reached your account spending limit, on more ads will run until you change it. Facebook does not change the behavior of your ads based on the percentage of your account limit that has been spent. It’s either all or nothing, on or off. It’s also not a fuzzy number like daily budgets; it’s a fast limit. 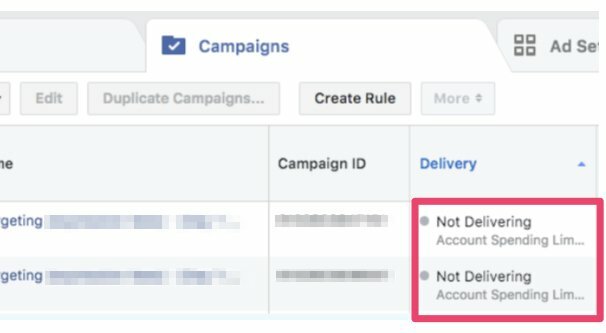 To create an account spending limit in your Facebook ads, you need to be the admin of the ads account. It’s also worth noting that your account spending limit takes around 15 minutes to take effect, so it’s not the best way to cut off runaway spending. To cut off ad spend faster, go to your campaigns and disable them individually. Go to the Facebook ads manager page and find the Payment Settings menu. Look for the section labeled Set Your Account Spending Limit and click the button to set it. This will allow you to specify a dollar amount as a cap. Again, this is starting from zero, from the time you apply it, and does not consider historical data. Make sure you know how much you’ve already spent this billing cycle before you set your cap. 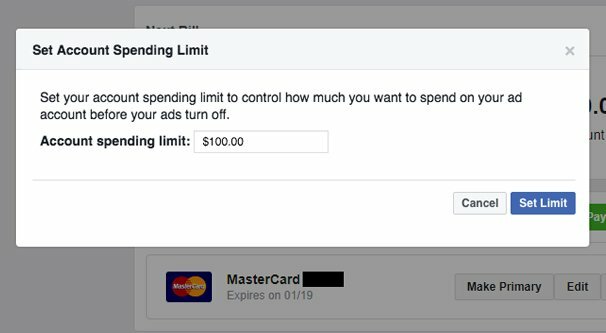 To update an account spending limit for your Facebook ads, you again need to be the admin of your ads account. All of the above applies, with one additional caveat. When you edit the existing account spending limit, you cannot set a new limit that is less than 10% above what you’ve already spent. There is no cap to how high you can raise the limit, you simply cannot lower it too much. 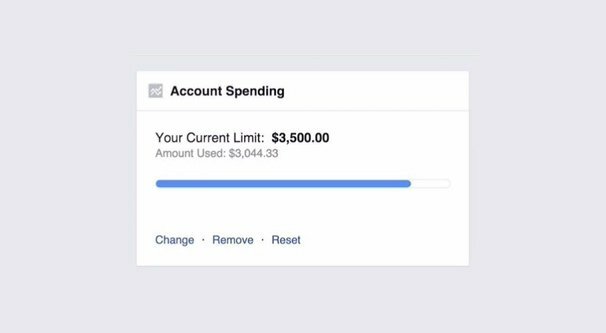 Facebook’s example is: Your current limit is $150 and you’ve spent $100 thus far. You can change your limit to as low as $110, which is 10% above what you’ve already spent, if you need to lower your cap. You can raise it as much as you want. You cannot lower it to less than $110. Again, in the same payment settings menu where you set your limit in the first place, click to set it again and click change. This is where you can set a new numerical value for your spending limit. Click to update the limit. You will have to wait 15 minutes or so to have the change apply. Keep in mind that changing your limit will not reset it, and it is still a lifetime limit. Additionally, you can only change your spending limit a maximum of 10 times in an hour. I can’t think of any real reason why you would want to change it that many times in an hour, but hey, maybe you have two employees having a passive-aggressive slap fight in the budget box, I don’t know. People do dumb things sometimes. Facebook has that rate limit in place largely just to prevent weird bots from micromanaging settings constantly, I suppose. You can also reset your account spending limit spend. This will maintain the existing spending cap, but reset the amount you have spent towards it to zero. I’ve seen some companies use this as a monthly cap, resetting it on the first of each month to accurately reflect whatever that month’s advertising budget is. It’s a bit of an inefficient system, but hey, sometimes it’s the best you can get. In order to reset the value of your spend to zero, go to your account spending limit menu the same as you have above, and click the “reset amount spent” button. This, again, will take around fifteen minutes to apply, and will change the amount you have spent towards your cap to zero. It does not change the existing cap in any way. If you’re tired of managing – or forgetting to manage – your account spending limit, you can choose to remove your account spending limit entirely. All you need to do to accomplish this is go back into that same payments menu, find your account spending limit, and click to remove it. As usual, this will take around 15 minutes to apply. This may be the best tip in the post thus far, since plenty of people set an account spending limit and decide later that it was a mistake. On the other hand, literally all of the buttons to do anything with your account spending limit are in the same place, so there’s really nothing complicated about it. Other than the fifteen minute delay, there’s nothing strange you need to know about the system. You may be mixing up spending limits with billing thresholds. With automatic payments, your billing threshold becomes an important number. Basically, your account is billed at the end of each month, and it also has a billing threshold. If you spend enough to reach your billing threshold before the end of the month, you will be billed for that amount immediately, and then any leftover charges at the end of the month. Facebook basically uses the billing threshold as a way to make sure the people running ads are able to pay for them. They don’t want you to jump in from nothing, rack up $10,000 worth of advertising charges in a month, and then ghost them. 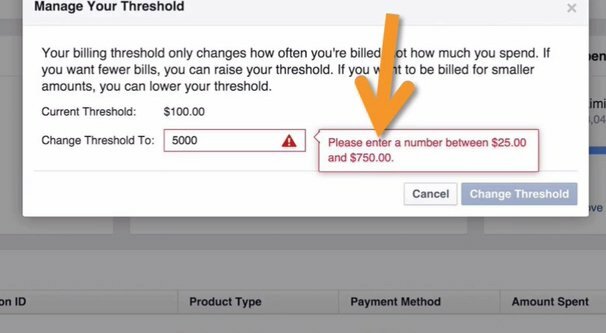 There is no way to set your billing threshold manually. As you reach your billing threshold and pay it successfully, there is a chance Facebook will increase the billing threshold. Usually, this happens after a few months of successful payments. Sometimes, they will bump it up faster if you are reaching and paying the threshold very quickly, like every few days. As long as you are regularly paying the full amount with no delays, late payments, or credit card violations, your threshold should increase until it is comfortably a bit higher than what you typically spend in a month. I have heard that in some cases, you can manually reach out to Facebook and ask them to increase or decrease your billing threshold. You may want to decrease the threshold if you want to spread payments out over the course of the month, for example weekly payments. I’m not sure that many businesses are able to actually increase their billing threshold manually in this manner. You are free to try, but I imagine it only works when you’re a global brand with a huge amount of money to spend, and at that point, Facebook is probably offering you a dedicated account manager to help you optimize the amount you’re spending. Facebook is also gradually rolling out a new feature where you can choose your billing date. Normally, the billing date is the last day of the month. You will be able to go into your payment settings section and click the Next Bill section. There may or may not be a Manage button here. If there is, you can click to select a new billing date and choose the date you want to use. If you prefer to be billed on the 15th of the month, for example, this is one way you can do so. It’s worth noting that your billing threshold is not a cap on your ad spending, unless you fail to pay your bill. If you reach your billing threshold and do not pay your bill, Facebook will take action, sending you a reminder, pausing your ads, and eventually even suspending your ads account. Be careful to pay your bills on time, please! What is The Maximum Like Limit on Facebook?